Episode 46 - The 2018 Ryder Cup is in the rear-view mirror, with Team Europe triumphant on a cleverly, set-up Le Golf National track. Congratulations to the winners. We move forward with the Safeway Open - the opening tournament of the wrap-around 2018/19 PGA Tour, played at Silverado Country Club, in Napa, California. It's a huge opportunity for a win that can boost a player's career as we head towards 2018. 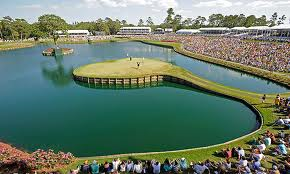 On the European Tour a huge field which contains Brooks Koepka, Tommy Fleetwood, Tony Finau, Tyrrell Hatton, Matthew Fitzpatrick, Matt Kuchar, Branden Grace and Louis Oosthuizen is always one of the highlights of the season. The Alfred Dunhill Links Championship has a champions list of the highest quality and is played across St Andrews, Carnoustie and Kingsbarns. Intro: 00:00; Ryder Cup Chat: 02:30; Alfred Dunhill Links Championship Start: 23:19; Safeway Open Start: 49:14.